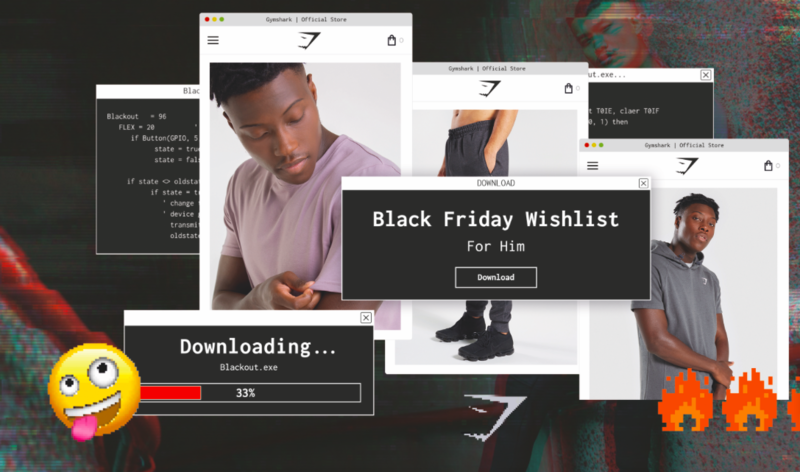 Fitness brand Gymshark are offering an absolutely whopping 70 per cent discount to their online customers for Black Friday. The fitness apparel and accessories brand’s 70 per cent off ‘Blackout’ sale starts on Monday, November 19th at 3PM GMT and will run until Tuesday 27th at 9AM GMT. And it’s not just your classic ‘Black Friday, limited items on offer’ we’re talking about here, hell no. What we’re talking here is up to 70 per cent off, site-wide. Yep, you read that right, site-wide. So it really doesn’t matter what you’re in the market for, Gymshark have totally got you covered. Flex Leggings? Absolutely. Construction Pullover? You’ve come to the perfect place. According to Gymshark, the prices you see from the moment Blackout goes live are not going to change. So, when you’re hesitating over that pair of Fit Leggings, you should just go for it, because price-wise it’s really not going to be getting any better than that! They also say that if something you’re after is out of stock they distribute their products across all stores, so you could find something that was once out of stock has magically reappeared! They can’t always shout about this on their social media so it’s well worth your while to check back every now and again to see if that perfect item you were eyeing up is back in your size. As if you needed another reason to treat yourself, experts have revealed that what you wear to the gym can actually help to keep you motivated and can even improve your overall workout performance. Putting on a flattering outfit motivates people to actually go to the gym or to exercise outdoors in public. The only problem is – with literally everything on the site up for grabs with a hefty discount – what do you choose? A true hybrid of streetstyle and gym functionality, the Living T-shirt is a classic relaxed cotton blend crew with a contemporary elongated hem. For living or lifting in, it features soft stretch fabric and an embroidered logo-to-arm detail. Crafted from soft stretch fabrics with a classic tank silhouette, the Ion Tank is a simple design with an effortlessly physique-enhancing fit. The Ozone tracksuit is an elevated sportswear classic, guaranteeing the ultimate comfort and sleek style for both in and out of the gym. Attention to detail is clear, with elasticated cuffs and a drawcord waist for comfortable wear. It’s simple at its core, but from its branded internal waistband to its tonal logo and reversed centre-front zip, it’s all in the details. The Energy Seamless is built to perform, hugging your shape with its powerful stretch and comfortable ribbed fabrics. Designed to endure the most demanding of workouts, this collection of sports bras, crop tops and gym leggings will see you through lifting and cardio alike with total support and confidence. No true Gymshark family member’s workout wardrobe is complete without a Flex set. Join the hype this Blackout and get to know why the Flex Leggings are a firm favourite amongst avid gym-goers, with their soft sweat-wicking knit and contour shading design. So with bargains like these up for grabs you can’t afford to hang around!